Valentine’s Day is the time to show your significant other how much you love them. With plenty of gifts available, it’s hard to know where to start. Here are some fantastic ideas for the special someone in your life. 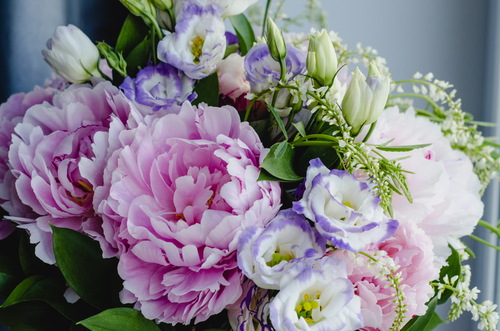 Nothing says I love you like flowers, and they’re an all-time crowd pleaser. Buy the special lady a beautiful bouquet this Valentine’s Day. Whether you want to do something different or choose traditional roses, there are plenty of options. Buy 50 red roses from e-florist for just £39.99. Why not show her how much you care with a charm bracelet? Not only are they special, but you can also buy charms each year. This means less stress each Valentine’s Day. Pandora sells bracelets from between £25.00 to £70.00. Men are like little boys with tech items, so you know he’ll be impressed with a smartphone. Luckily, there are some excellent new offerings for the iOS or Android aficionado in your life. The iPhone XS costs £1149 from most retailers, but many offer discounts for trading in your old phone. Samsung has introduced the Galaxy Note 9 and Amazon sells it for around £800. Let’s face it, men love the idea of having a robot. The Sphero ball has loads of great features and it’s priced at £40. You can buy it from Look Again, Freeman’s and John Lewis, although some retailers are more expensive. Your child at heart will love the facial expression feature, which moves the robot across the table. If she works hard, treat her to some relaxation this Valentine’s Day. There are loads of companies that sell spa experiences, and let her indulge in some luxury. Virgin offers a 5-star spa experience at Champney’s for £285. Loads of fantastic restaurants offer couples special dining options on Valentine’s Day. Choose from a range of cuisines in your area including French, Italian, and Gourmet restaurants. Visit the Virgin Experience website to book your meal. Prices start at £50. Feeling like escaping this Valentine’s Day? Virgin Experiences offer a number of great day trips for happy couples. Visit the magical island of Guernsey for just £45.